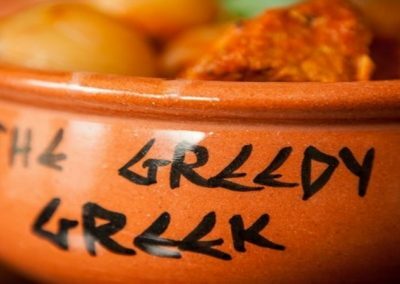 The Greedy Greek Deli is a long-established family run business selling delicious Greek food and traditional Greek produce. You can find us at 418-420 Sharrow Vale Rd, Hunters Bar, Sheffield, South Yorkshire S11 8ZP. We are open: 10am – 10pm / 7 days a week. • Eat-In or Take-Away / Delivery • Indoor and Outdoor Seating • B-Y-O • Groups Welcome! The Mouzakis family started the Deli in October 2003 offering traditional Greek food and produce, much of which was imported from their homeland, the beautiful Island of Zakinthos. 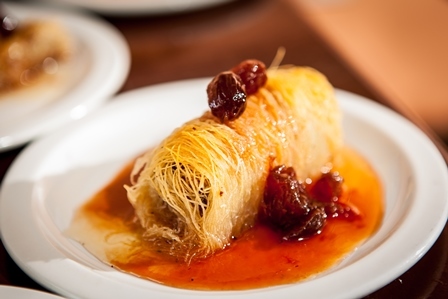 The Deli has developed a great deal since then, now selling homemade Greek foods such as – Lamb Kleftico, Beef Styfado, Moussaka, Vegetarian Meals, Lemon Roast Potatoes, Baclava, Kataifi and many more mouth watering dishes known to all of you fans of Greece out there! 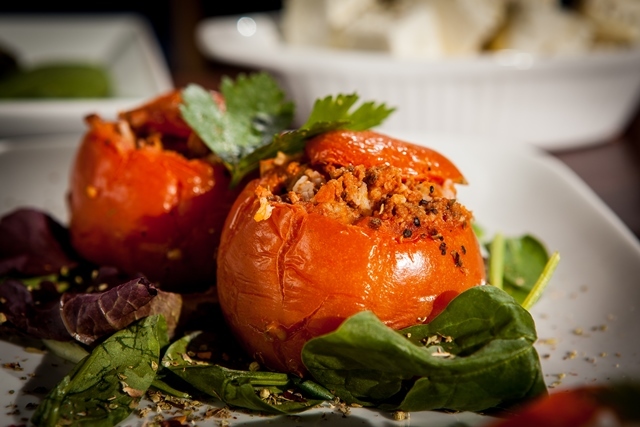 "We had a delicious evening meal at the Greedy Greek. Lively music, good food and very kind and thoughtful service. Felt very welcome & enjoyed eating outside under the heaters..."
"Sit outside here on a sunny day and you can imagine yourself in the Mediterranean. Great little neighbourhood cafe. Food and service is excellent, everything is homemade and fantastic value..."
"The lovely Greek music in the background was a nice touch. The food was fantastic and really large portions. It is good that you can take your own wine, beer etc. We'll definitely be returning..."
"We have eaten here a few times and the food is always excellent. The owner grows much of his own produce and you can definitely tell. The meals are very reasonably priced..."
"I really like it! Having holidayed in Greece several times over the years I particularly like the food and this is probably the best place that I know of in South Yorkshire to get it..."
On our menu you will see the extensive selection of Greek meals and a wide choice of vegetarian dishes available. 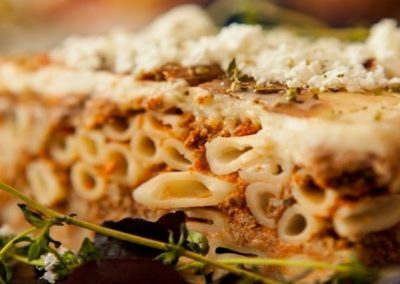 These are all made fresh, with only the best ingredients, herbs and spices imported specially to keep the authentic Greek flavour. All of our cooking is done in the traditional way by Mama Tassia’s team of chefs. Mama has spent the last 30+ years of her life in the kitchen, (no seriously!) – first for the family restaurant in Greece and now assisting the Deli & our kitchens here in Sheffield. The Greedy Greek Deli is a long-established family run business selling delicious Greek food and traditional Greek produce. You can find us at 418-420 Sharrow Vale Rd, Hunters Bar, Sheffield, South Yorkshire S11 8ZP. We are open 10am – 10pm / 7 days a week. The Mouzakis family started the Deli in October 2003 offering traditional Greek food and produce, much of which was imported from their homeland, the beautiful Island of Zakinthos. 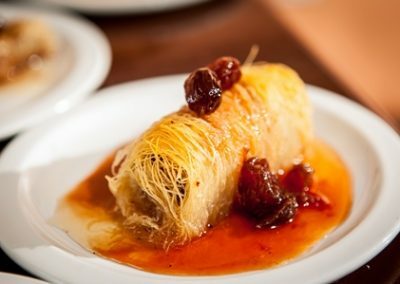 The Deli has developed a great deal since then, now selling homemade Greek foods such as – Lamb Kleftico, Beef Styfado, Moussaka, Vegetarian Meals, Lemon Roast Potatoes, Baclava, Kataifi and many more mouth watering dishes known to all of you fans of Greece out there!